Chris Lambrough is having a run of bad luck. He's lost his job and his boyfriend and is feeling depressed. 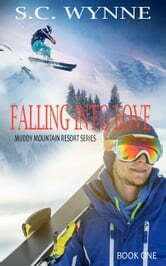 His best friend Jenny tells him about an ad she's noticed where The Muddy Mountain Ski Resort is looking for waiters. Chris has restaurant experience and since his New Years Resolution is to learn to ski it seems like a nice opportunity to jump start his life. Trevor Brown is a ski instructor at the resort. He befriends Chris right away and the have undeniable chemistry. But Trevor has guilt over the death of his lover, Lane two years earlier. Can the two of them learn to trust each other and move forward and forget the past?